"Drop in centres". Definitely "one to watch" in the new English dementia strategy. 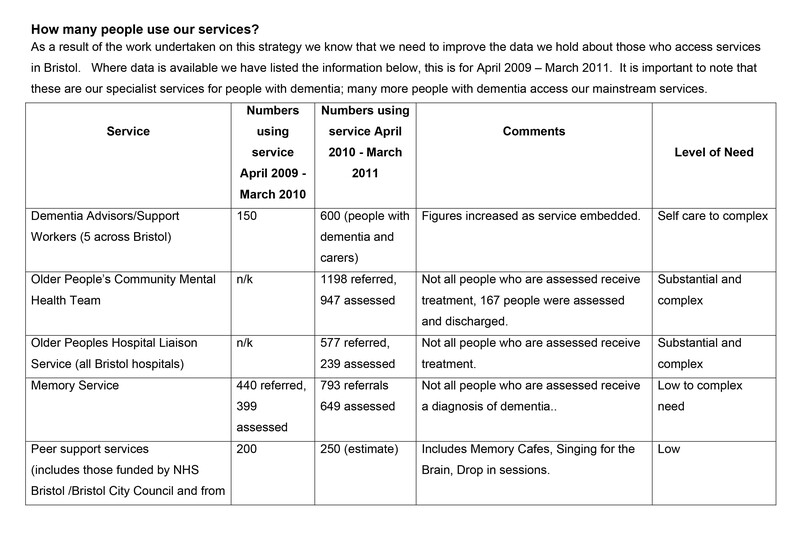 Access to any sort of dementia service has become the focus of scrutiny in the English dementia strategy. For example, NHS Bristol and Bristol City Council Health and Social Care have produced a strategy document entitled ‘Living well with dementia in Bristol’ to run 2011-2015. They helpfully provide the following table on page 32. There is considerable interest in how much ‘support’ can be provided by the NHS and social care providers, and how much can be provided by charities and other voluntary entities. A major faultline in policy is how the third sector can lower the barriers to entry for ‘other providers’ for dementia awareness, other than the usual suspects. There is a growing momentum that any awareness is to be welcomed, wherever it comes from, but ultimately this awareness should not be for knowledge for its own sake, but should be an application to encourage inclusivity. And all services can be a bit rushed, especially any services, medical or legal, where the end point of funding is activity-based. But conversely what people with dementia and those closest to them, whether in an official caring rôle or otherwise, invariably mention is the need for time and patience. “Drop-in centres” have attracted much interest of late. They offer emotional support, companionship and practical advice to people, including individuals with dementia who wish to live well independently in the community. They’re generally run by voluntary organisations, local councils and day centres. Drop-in centre sessions usually run for a few hours at a time, one or more times a week. The volunteers at drop-in centres are generally there to listen and provide support to those who come along, as well as to encourage people to make friends and take part in activities that interest them. Activities are especially promoted in the NICE Quality Standard 30, a strategy document which has as its aim supporting people to live well with dementia. Activities can include things like games and quizzes, arts and crafts, exercise and relaxation classes. There might also be TV, computer and internet facilities. Some drop-in centres offer educational and life-skills workshops, on topics such as developing confidence. Individuals who use drop-in centres often have opportunities to help make decisions about how the centre is run even, and decision-making, choice and control have become key planks of dementia whichever political party is in office. The overall aim is to provide a friendly, relaxed and unthreatening atmosphere. Many drop-in centres are also open to carers, which may include families and friends of people who have these kinds of support needs. Many people in some sort of ‘caring rôle’ do not consider themselves ‘carers’, numerous successive studies find. Drinks and snacks are often available at drop-in centres and some also offer hot meals. Some centres can help arrange transport for people who find public transport difficult to use. And ‘drop in’ approaches might be particularly positive for people living with dementia. Often people living with dementia find the diagnosis stigmatising, but invariably people living with dementia on receiving a diagnosis still wish to live life to the full. There are lots of services available for people living in the community who would like companionship or support during the daytime. Day centres open for longer hours than drop-in centres and offer support to older people and adults with disabilities or mental health problems. There are lunch clubs for older people too. If you feel lonely or cut off from others in the community, or can’t leave your home very often, then you might like to benefit from “companion and befriender services” arranged through the drop-in mechanism. ‘Drop in centres’ have developed a momentum of their own in England. For example, Age UK Shropshire Telford & Wrekin have opened five Diamond Drop In Centres to support local people with dementia and memory difficulties, their families, carers and friends. Previously it was reported that carers in Faversham have access to a drop in centre in their own locality. This Kingsfield team had created the drop-in service to offer support and information for both their residents’ relatives and people in the local community who are caring for someone with dementia. Norman McNamara, Founder of Purple Angels, announced this morning that there might be plans to launch a drop in centre in Exeter. 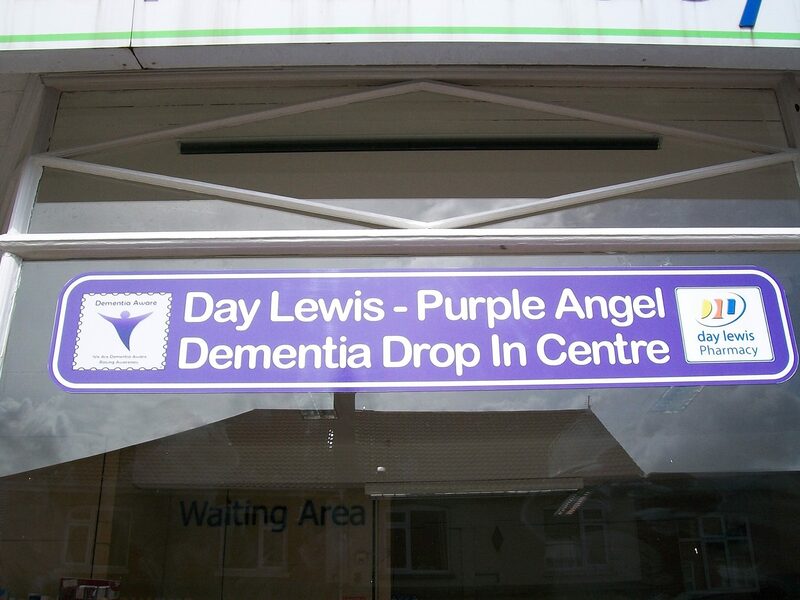 Norman admitted to being ‘quite tearful’ at having organised a previous ‘Day Lewis – Purple Angel’ drop in centre, particularly of the busy nature of the location. 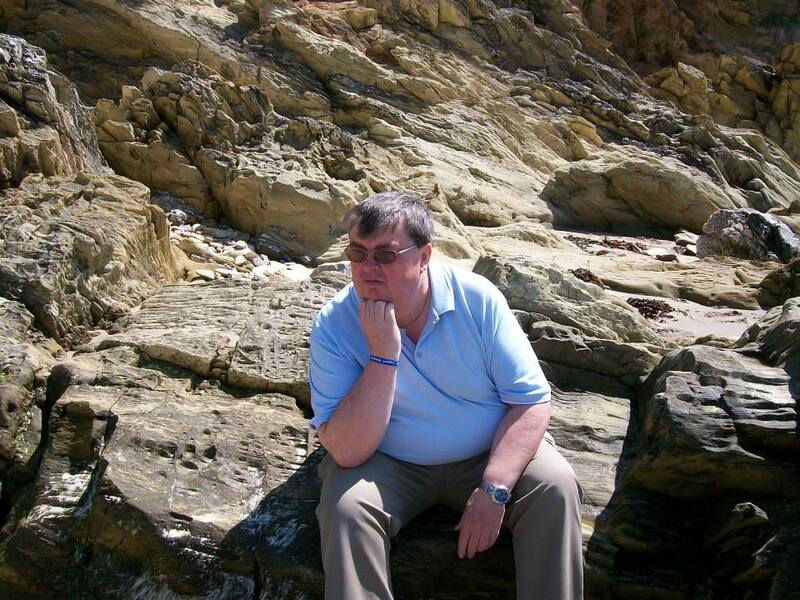 But it is well known that Norman McNamara has achieved an enormous amount through a remarkable amount of personal determination, as he lives with a type of dementia called diffuse Lewy Body type. This all is a noteworthy development of a campaign which ‘thinks global acts local’. Their ‘global’ website is here. Many hope that ‘drop in centres’ will feature in the new English dementia strategy 2014-9.